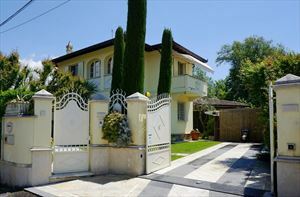 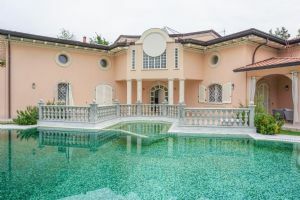 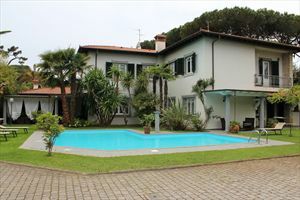 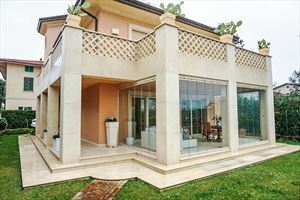 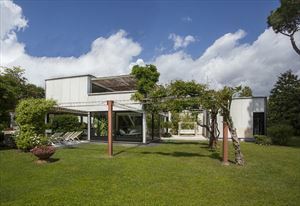 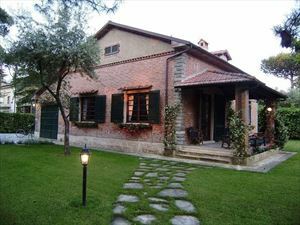 in Forte dei Marmi about 300 square meters on two floors plus basement with 4 master bedrooms with private bathrooms (two double and two single beds), one with Jacuzzi; another bedroom with bathroom currently used as a study / reading room, but can be equipped as a fifth bedroom; maid's room with bathroom in basement. 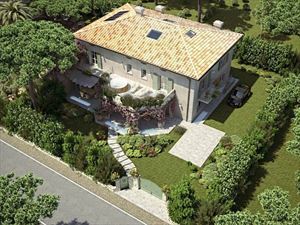 On the ground floor large living room with fireplace dining room, guest bathroom and large kitchen; outside in the large garden and swimming pool 5x9 barbecue, garage for two cars and several bicycles available, other cars on the outside; WIFI and satellite television. 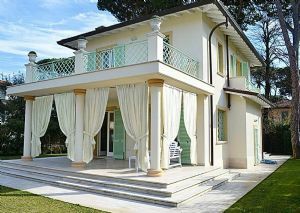 Holiday rentals and eventual sale, private negotiation.